For most of you, it’s almost a no-brainer that cycling is good for you as well as the planet. 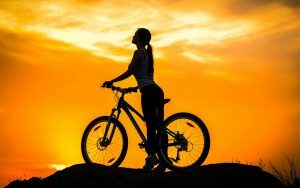 But are you aware of exactly how beneficial cycling can be to the human body? How about you motivated yourself as well as your friends who grouch in the office saying “Why should I even bother cycling?” Apart from being environment friendly, cycling also has the potential of keeping you healthy in many ways. 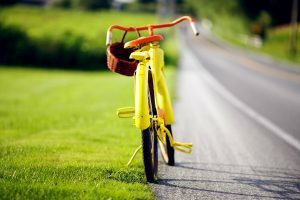 It’s time to pick up your bicycle which has been gathering dust in the backyard, give it a nice cleanup, and head out, as I take you through a quick ride while taking a look at the top 20 advantages of cycling on health. We’ve all faced the occasional traffic jams which stand without moving an inch for hours sometimes. Obviously you wouldn’t find yourself stuck in one of those, and arrive at the office with your boss glaring at you and pointing at his wrist watch. You then drive recklessly to minimize the margin of late-coming. At this point, you’re stressed and anxious, both ingredients to increase the chance of meeting with an accident. As counter-intuitive as it may sound, cycling does get you to work faster. 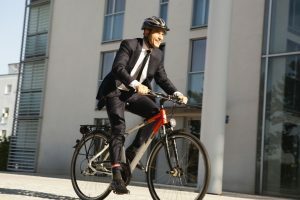 Citroen conducted a research for those living in the UK, who have consistently reported that commuting by cycles have got them to work at half the time of cars. Why risk your life when you can pedal your way to work, smiling and stress-free? 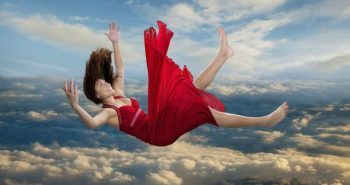 Having trouble catching some quality sleep? Take your cycle out for a morning ride. Although it will cut your rest short by a valuable half hour, it will guarantee you a good night’s sleep when you hit the bed once again. 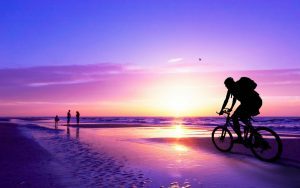 Cycling exposes you to daylight, which in turn reduces the build up of cortisol, essentially a stress hormone that prevents regenerative sleep. Cycling increases the blood flow across all parts of your body, which entails delivery of oxygen and essential nutrients to your skin cells. It also sees to it that the harmful toxins are washed out. 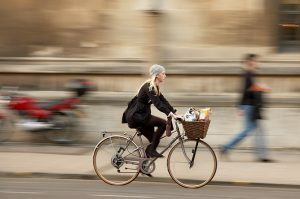 In essence, cycling creates a healthy environment for the production of collagen which reduces the prevalence of wrinkles. Now you know that your bicycle gives you fitness as well as looks! Finding it hard to engage your grey matter? 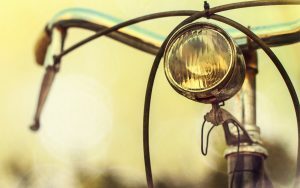 Take a quick ride, as cycling boosts the development of new brain cells in the hippocampus – the region in the brain that governs memory, which surprisingly deteriorates as early as at the age of 30. 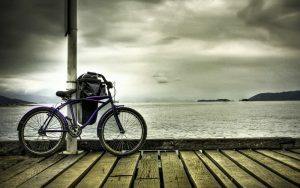 Therefore, in order to keep your brain sharp through your daily activities, get pedaling. They say an apple a day keeps the doctor away. But riding definitely does the trick. Immune cells are more active as a result of daily cycling, and hence protect you from infections. 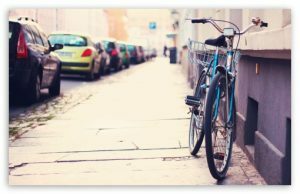 Take half an hour in a day to pedal around town, and you’re certain to find yourself clear from those nasty viruses. 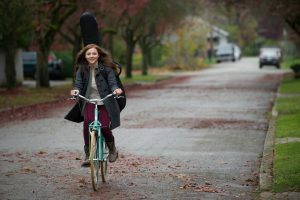 A research conducted by King’s College in London revealed extraordinary results about the benefit of cycling vis-a-vis youth. 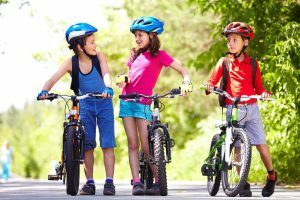 The researchers carried out comparisons between 2400 identical twins, and found that those who devoted a couple of hours to cycling every week were ‘nine years biologically younger’. That essentially amounts to 20 minutes on your cycle every day, which isn’t any price to pay for a healthier and longer life. Your creation, who’s still cozy inside the womb, can also benefit by your regular cycling. Mommies-to-be who cycled on a regular basis were found to undergo a hassle-free labor, and also recover quicker after delivery of the child. Gynecologists say that moderate exercise, cycling for instance, certainly helps the mother condition herself, as well as protects the foetus. Give your child a healthy start before he even opens his eyes, all by doing a few miles on your cycle! The prevalence of heart diseases are a direct function of your fitness levels. Hence, cycling immediately helps you keep yourself fit, and also lowers the resting heart rate, keeping the heart safe and sound from fatal heart diseases. 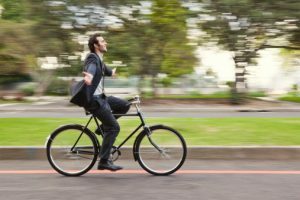 A few rides round your block before you head to work can propel you to become a favorite of your employer. Surely, you’re wondering how. 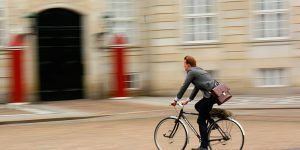 Researches show that cycling improves time management, boosts motivation and also helps you deal with stress, which are all factors that could get you a raise, or even better, a promotion. Cancer is essentially a malfunctioning cell, which can be avoided by any exercise, especially cycling as it keeps your cells in a functioning state. 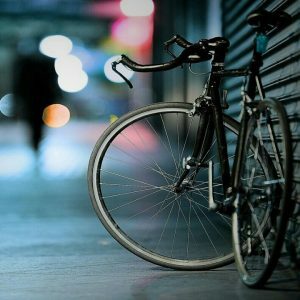 A Finnish study demonstrated that men who cycled on a daily basis for as much as 30 minutes were half as likely to develop cancer as compared to couch potatoes. Similarly, women were found to be less prone to breast cancer when they took up cycling. For all those who want to do away with the flab, and choose to go jogging as a solution, here’s a reality check. Your entire body weight falls on your knees and ankles, which can potentially pose major problems for your legs. I’m not saying stop jogging, but instead, try out the bicycle, which takes all your weight by means of the saddle, and also ensures that you burn up your fat. Eventually you have the same result, but with an easier way out. How about that for a solution! While on the road, cars, buses and taxis are emitting harmful gases which can settle in your lungs and cause damages. Cyclists have an advantage here, as opposed to drivers who are directly in line of the exhaust smoke, as they ride on the edge of the road. Cyclists are exposed to 8,000 ultrafine particles, compared to 100,000 for those commuting by motor vehicles. A simple and elegant solution to keep your lungs toxins free! 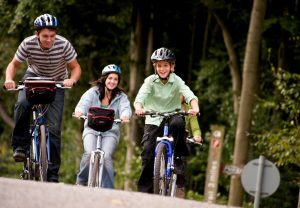 Cycling is an activity that the entire family can take part in together. From the little toddlers, who can find a nice seat in front of the saddle, to the grandpas and grandmas, who can take to cycling as their joints aren’t taxed, cycling can give you the opportunity to spend great moments with your family on a crisp Sunday morning. 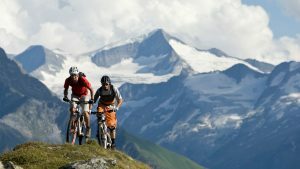 If you’re a sportsperson aspiring to make it big in your sport, you have every reason to go cycling on a regular basis. Medical studies in a couple of Scandinavian countries have shown that cycling enhances performances of a sportsperson across the whole rung of games and sports activities. Footballers have shown considerable improvement in their abilities to run longer distances during a game for instance, after having taken to cycling. Shortness of breath and fatigue can often result from simply doing nothing and spending unproductive hours on the sofa. On the other hand, cyclists uses 10 times more oxygen than those who sit in front of a TV for hours. Most importantly, cycling can strengthen your cardiovascular system, which means your heart and lungs can work with greater efficiency when you need them to. Sports scientists have found that cycling not only increases your metabolism, but that this change lasts up to 30 mins after you have completed your ride. Moreover, if you’re looking to burn your body fat rapidly, incorporate a few fast intervals in your workout. If you happen to feel a bit low for whatever reason, don’t hesitate to take your bicycle for a short spin. Cycling is known to release endorphins, which can help you become happy as well as do away with the stress. 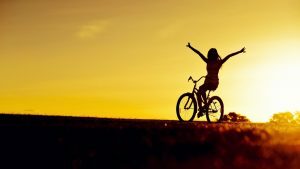 For serious patients who are suffering from depressions and anxiety disorders, cycling is the best solution, since it also avoids the massive bills of anti-depressants. You probably pass by bakeries and confectioneries, ogling at the glass cases full of delicious pastries, but have to resist because you are diabetic. Cycling has shown promising results in reducing diabetes, as the exercise that you get during cycling improves the control of blood sugar. You’re looking at prevention for the onset of Type 2 diabetes using a simple solution – cycling. If you’re looking to have a ripped body, with the biceps staring at onlookers, simply pumping weights in the gym will not suffice. What’s easier is to go for rides on your bicycle as cycling improves muscle strength. Since cycling is a non-weight bearing activity, you can feel relaxed while cycling as well as gain your desired musculature. Physical activity is directly related to being ‘healthy, wealthy, and wise’. 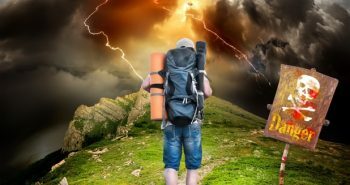 So add a cycling trip to your ‘early to bed and early to rise’, and see the differences for yourself, in terms of your life being enhanced physically as well as emotionally. 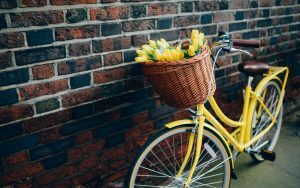 You now have sufficient reasons to find a local store and purchase a comfy bicycle, which can be your lifelong friend and companion wherever you go. Modern cities are giving more and more importance to the benefits of cycling, and are hence making facilities for citizens to avail bicycles anywhere they go. All human beings eventually wish to have a nice day, and feel good about their daily activities once they hit the bed. 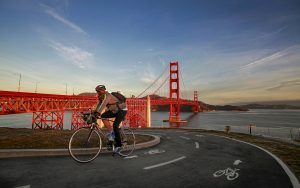 Cycling gives you every opportunity to do so, and touches upon every part of your life to make it a more enjoyable one. 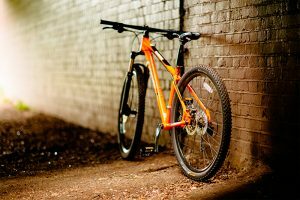 Long and short of it – get pedaling!